Is Kylie Jenner Ready To Have Baby #2!? Kendall Jenner was questioned about possible baby #2 for sister Kylie during her interview on Ellen yesterday. A week ago Kylie posted a picture of her snuggling with boyfriend Travis Scott with the caption: “baby #2?” Well if that doesn’t solidify the news, then what does? Kendall addressed questions by stating the couple is “just practicing.” According to Kendall, her sister is “very interesting. I love her so much. She is really clever. I don’t think she’s pregnant right now.” Hmm. Think? Ok Kendall… We’ll see for ourselves. Kylie’s post comes as a bit of a surprise, as she hid her nine month pregnancy from the world for nine months, revealing the news on the day of the super bowl in 2018, ultimately stealing the spotlight from the victors, the Philadelphia Eagles. At only 20 years old, Kylie shocked the world with news of her daughter, Stormi, who weighed only 8lbs 9oz at birth. 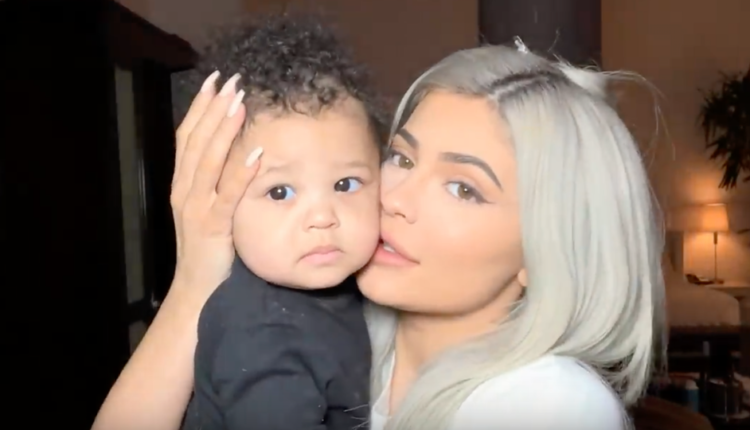 Perhaps now that Kylie has settled with Stormi, do you think she’ll be more open to sharing her journey through pregnancy #2? Will Kylie will have another girl or a boy? Have any name ideas? Perhaps Sunny or Rainy? Knowing Kylie, it’s bound to be a unique name. What do you think of the rumors? Let us know in the comments or on Twitter at @WhatsTrending.